A House of Lords Committee reports that the UK needs to exercise power differently to safeguard security and prosperity in the future. 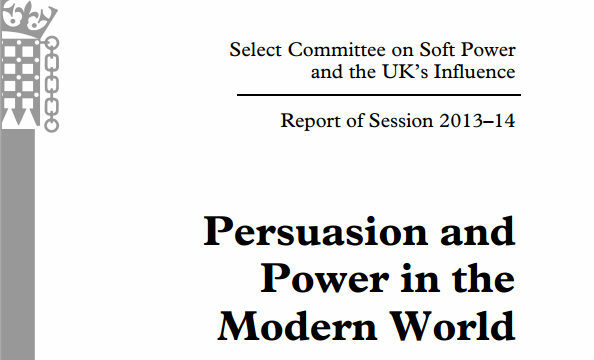 The House of Lords Committee on Soft Power and the UK’s Influence reported their findings on Friday 28 March. Soft power, a concept coined by the international relations scholar Joseph Nye, describes a form of power where the wielder influences the actions of others through attraction, persuasion and co-option. Soft power is best understood in contrast to ‘hard power’ – power as classically defined as the use of coercion (often involving the threat or use of force) to achieve foreign policy or national security objectives. Established to explore the use of soft power in furthering the UK’s global influence and interests, the Committee has sought evidence from a variety of sources including from current and former government officials, representatives from the private and charitable sectors, academic experts and politicians – notably including former Prime Minister John Major. The Committee’s report highlights the importance of soft power to the protection of the UK’s national security and the promotion of prosperity. It suggests that the combination of older approaches to foreign affairs with those informed by soft power are now required to ensure the UK maintains and expands its global influence. The Committee’s central recommendation is the creation of a new strategic narrative unit to assist government departments understand the importance of soft power-informed approaches to their work. The unit would also help departments navigate crisis periods to preserve outward, positive perspectives on the UK, thereby maintaining soft power. If such reforms are not enacted, the Committee warns that the UK will risk finding itself ‘outwitted, out-competed, and increasingly insecure’ in the modern world. Wilton Park has contributed to the overall discussion about the nature and of soft power in the UK and globally for several years. Our series on public diplomacy has primarily focussed on the practical applications of soft power and the process by which soft power assets are converted into useful activities and initiatives. In 2013, we convened a discussion Sao Paulo concerning differing British and Brazilian approaches to soft power. More recently, in February 2014 we hosted a variety of experts from a range of backgrounds and countries to discuss the role of governments in identifying, harnessing and deploying soft power, and the practicality of this involvement. The next event in our series on soft power will take place in May. It will explore the use of soft power assets to further foreign policy and national security goals, with particular focus on the practical implications of soft power theory. The conference will be the first that Wilton Park has held in Mexico, and the eighth in our public diplomacy series. Soft power will continue to be an important lens through which states view their actions and the actions of others. 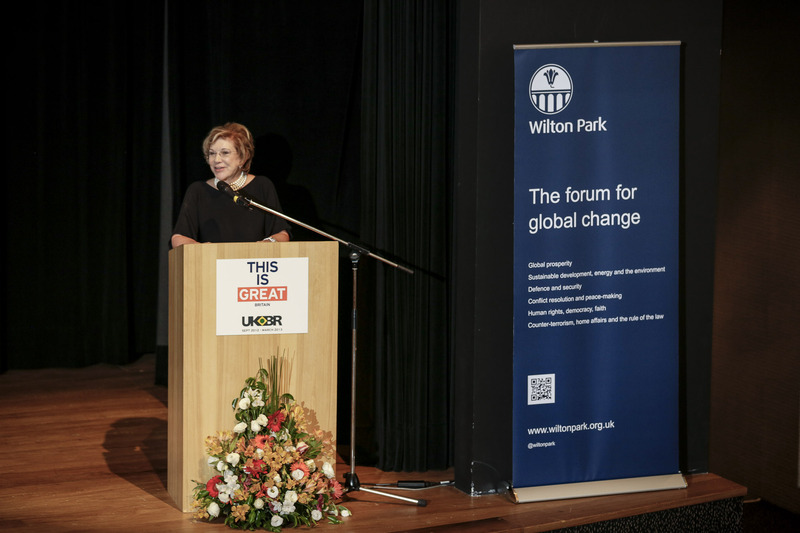 Wilton Park will continue to assist the international community explore the nature of this concept and its application to foreign affairs policy and practice.